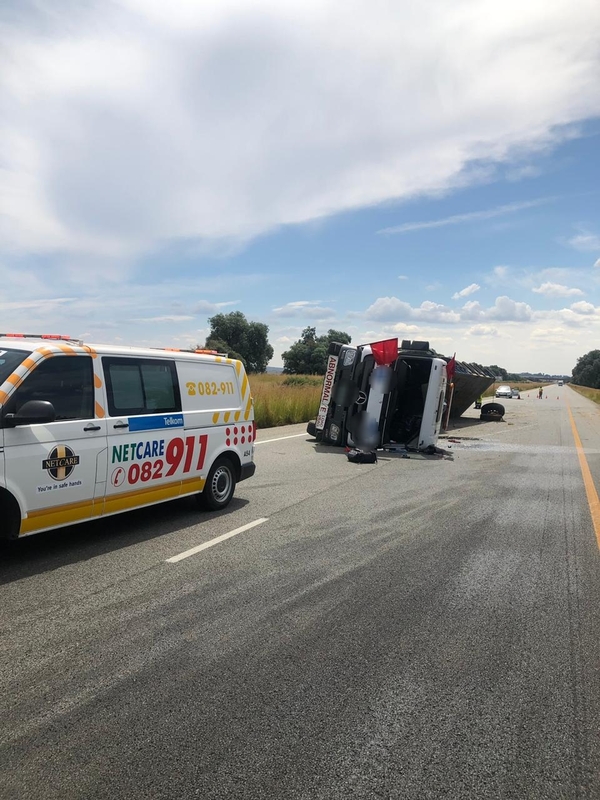 Free State: At 10H59 Monday morning Netcare 911 responded to reports of a collision on the N1 North bound near the R59 in Parys. Reports from the scene indicate that the driver of a heavy motor vehicle lost control resulting in the truck losing its load. The patient was assessed on scene by medics and found to have sustained minor injuries. Once treated the patient was transported by ambulance to hospital for further treatment.